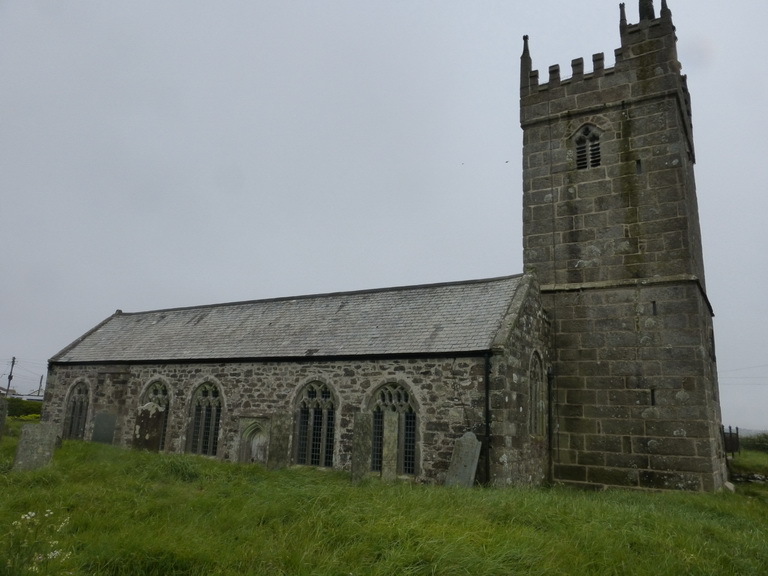 The church of St Corentin stands on the edge of the village of Cury, raised up in a lann. It has the air of an thriving Anglo-Catholic church. In the churchyard is a large wheel-headed cross covered in a luxuriant growth of lichen.